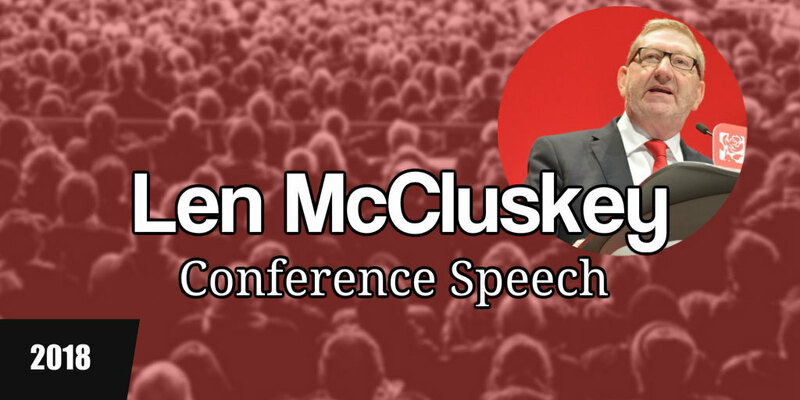 A Len McCluskey speech is rarely a pretty or refined thing. Just think of a blunt instrument and you'll get the idea. But, you can't deny the forcefulness or power of a Len McCluskey conference speech. And his speech today at the labour party conference in Liverpool was, of course, no exception. So, this speech was certainly a battering ram of a conference speech. And, it was certainly well-received by the party faithful who applauded enthusiastically and then rose wildly at its conclusion. Because Comrades, we're coming for their fat cat fiddles. We're going to take back the railways, water, energy. We're going to build houses for the people, not the foreign oligarchs. We're going to kick the capitalists out of the NHS and we're going to lift the burden of debt from our young people. But, this Len McCluskey speech was also defensive. A defence of the glorious leader, Jeremy Corbyn. And what a defence it was. Tough and belligerent language, great phrasing and some choice words. Of course he kept his best moments for an onslaught on the MP, Chuka Umunna and also Dame Margaret Hodge. So Chuka, drop the country club plotting, listen to working people the length and breadth of this country. Get behind the party that made you, and join the rest of this movement in fighting to get rid of this rotten government, to give our country the fresh start it needs and make Jeremy Corbyn the people's Prime Minister. Last year we asked the question, why give a speech? This Len McCluskey conference speech manages to answer that question. Why Give A Conference Speech? So that was what we heard with this Len McCluskey conference speech. It was clear. It was concise. And it was brief. And, of course, there's no doubt about its meaning. Now, if only more speeches were so obvious and clear-cut. 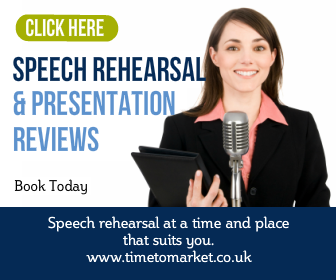 You can always discover plenty of public speaking tips with our series of tips, podcasts and videos. And with more than a hundred tips to choose from, there's something here for every occasion. 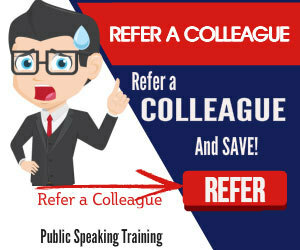 And, when you are ready to give your public speaking skills a real work-out, why not consider some training. Because a well-timed training course could be just the ticket for your next conference pass. So, please don't hesitate to get in touch when the time is right.